Do you blog? If so, is blogging a casual past time? a serious hobby? your job? For me, blogging is serious business. It started out as a casual hobby...but then the obsession set in. You know about that, don't you? Oh, I think you do. When you are sitting at the park watching your kiddos play and blog posts are floating on the periphery of your thoughts. When you are walking through a store, and project ideas keep popping into your head...and you are composing blog posts in your mind to go with each. Oh yes. It's true. It wasn't long before I was head over heels in love with blogging. 1. A Blog Calendar. Once I started blogging in a serious way, I found it essential to plan out my posts in advance. So, I needed to use a calendar. I used to list them in my planner (yes, I use a planner...paper-using list-maker, remember?) but I wanted a place just dedicated to blogging, so a calendar in my binder worked well. In the calendar I list not only posts, but linky-parties I'm going to participate in, when I need to remove ads from my blog, when I need to send invoices, etc. In short, anything and everything solely devoted to the blog. Here are some links to some great FREE blog calendar printables. This one from Living Locurto (which I used in my binder) and this one from Evelyn Kate Designs are weekly. A weekly calendar works well for me because I have lots of stuff I need to keep track of. This one from Blogging BookShelf is monthly. If you just want to track posts, something like this would work well. 2. Brainstorming. Let's face it. Coming up with fresh subject matter isn't always easy. Brainstorming for your blog is important. So I have a section just dedicated to that. When a random idea comes to me, I start a page for it. Then when I have some time (ha ha), I brainstorm the topic to come up with ideas. I also keep lists of projects I'd like to do that could be blogworthy, or single post ideas that don't need to be fleshed out, so that I can refer to them when I'm not feeling very creative. 3. To Do's. I have a section in my binder for to-do's. This is where I can keep notes on any projects that I am working on that I will want to blog, so that I can have all of my "stuff" in one place. I like to list sources, ideas, fabric swatches, paint colors, you name it. 4. Business. Now, I must preface this by saying that my blog is my job. So I have a lot of stuff on the business end of blogging that I need to track, including the dates for ads to go up and come down (that I can then transfer to my calendar), information for product reviews or posts of that nature, and other miscellaneous stuff. Having all of the nitty-gritty in one place sure is helpful. 5. Inspiration. This is one of my favorite parts of my binder. In this section, I put magazine tear-sheets or photos or other things that inspire me that I might want to incorporate into the blog. Some I choose just for the color, or a word, or the feeling. Inspiration can come from just about anything. But organizing inspiration (at least for me) is important. 6. Finally, I have a folder (pink again!) where I can keep loose odds and ends that I need on hand...like these paint chip cards. Looks cool! I'm still very new to the whole blogging thing--no business section needed for me :) But I do already have a little list going of posts I want to do, projects I need to finish up, etc. So cool to see your process. I'm still relatively new to the world and have only progressed to the point of blog "post-its". I am a paper-using list-maker, too! Love your system & thanks so much for sharing your free printables! I look forward to checking them out! This is a great idea! "Running" a blog definitely gets confusing! Lovely. My blogging has picked up the pace and the weekly calendar is a perfect tool. Thanks for sharing. Oh yes I am all about the paper.. easier then bringing the computer to the park while I watch the kids that is for sure! Thanks for the link to the bloggy calendars! I think I may make me up one of these too. Just an FYI- the third link to the monthly calendar linked me back to the Evelyn Kate one. I'm not sure if anyone else had this issue but just thought I'd give you a heads up! I love organistation in any form!! Cute idea, I love how organized you are with blogging! If you saw my desk right now you would know how much I need inspiration like this. I keep scrap paper on the desk to write down new parties and hops as I find them. The idea is to then add them to my master list at the end of the day. Let's say I began with excellent intentions. Recently I began noting blogging dates to remember in my pocket calendar. Those small spaces get filled to overflowing. Anyone who wants to make money with a blog has to have an organizational system. I blog for the fun of it. For now. I jot down the in's and out's and experiences of settling into a new country. Maybe one day it will be big enough to have to have a blogging file. I'm still just small-fry for now. I love blogging and treat it as a ministry to others. Thank u for all the wonderful tips by the way! I think I might have to steal some ideas from you, my blog 'stuff' is all over the place, in my head, on scraps of paper next to our bed, in my car, bag, random emails to myself etc etc. I love the paper version idea. 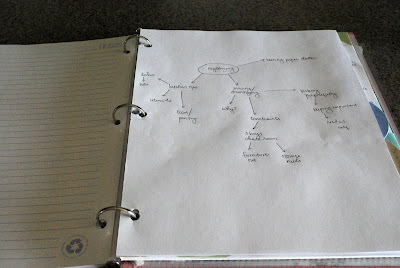 Just what I needed, I am loving blogging-but I am so unorganized! I get up from my desk, walk around, forget what I was doing, thinking, etc. 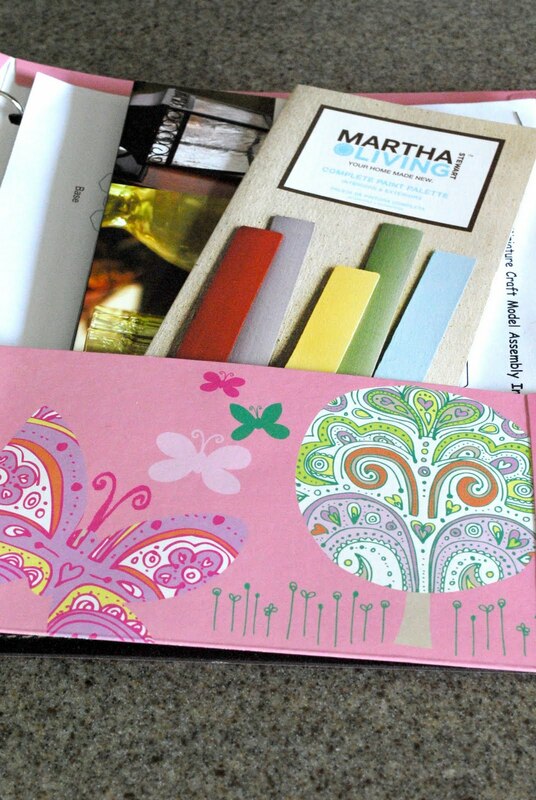 I am going to give the notebook and printables a try! Thanks so much! Oh, it gave me some wonderful ideas! I thank you for that. You're way ahead of me. I'm a "paper" girl too. But I have all these spiral bound notebooks that are for all different aspects of the blog process. And it's not really working for me. I like your idea much better. I shall be implementing it forthwith! I started with post its and scraps of paper; Im just starting now to get a good system down. I'm trying to plan out each month in advance, and write some to-dos for every day for me to cross off. I love this idea so much! I feel the same way about posting and not being able to think of anything to write. I will probably start one some day soon! Thanks! I love this! I've been planning a binder on the projects I'd love to tackle. This is such a great idea. 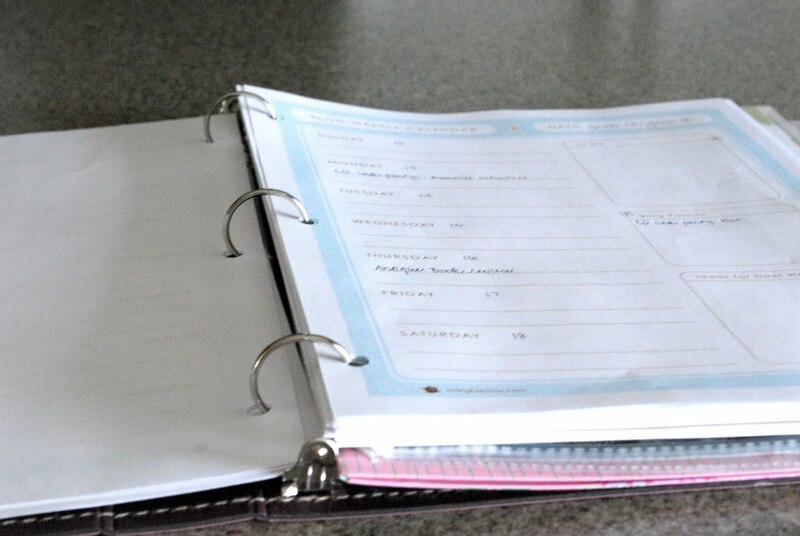 love this idea, I took your lead and made my own bloggie binder. and I shared it on my blog and linked it to you... thanks for sharing!! Thanks for the tip. Anything to better organize. 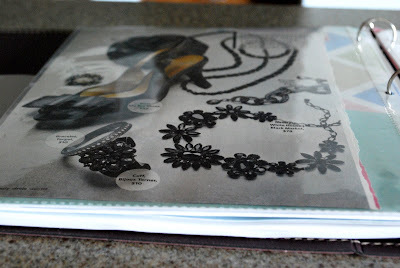 I just began blogging a month ago and am already finding I need to be better organized. Glad I read this early in my "career". A huge thank you for this. I started blogging a little while ago and needed something to keep me organized. This was exactly what I was looking for. Thank you so much again. Wow, this is an awesome and helpful post!! Even though I'm a regular reader of your blog I only just now saw this post. THANK YOU!!! I found it at just the right time for me. Love this! Thank you for the ideas. Maybe someday I will busy enough with my blog to need something like this. I definitely need this. I probably have about 4 notebooks on blog ideas etc - but I di need everything in one place. Love all the sections you've created. PS - have you noticed anything weird about posting pics in Blogger. I edit my pics so they are right side up and when I insert them in Blogger - they are sideways. Driving me crazy!! 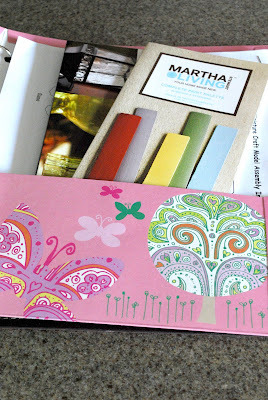 A blog notebook like this would be PERFECT for me as I'm fairly new to the blogging scene. I've read blogs for a while now but have only recently created a blog of my own. I want this to be a serious commitment on my part, and not to be a simple novelty. I think I will be going out to purchase a notebook like this tomorrow! Thanks for the helpful idea!